The Shambhala Mountain Center is a non-profit organization whose mission is to create a space for the ‘exploration of individual and social wisdom'. Located 8, 000-feet above sea level in Red Feather Lakes, northern Colorado, the 600-acre retreat is nestled among mountain valleys, woodlands and meadows, which is an oasis away from the hustle and bustle of everyday life. According to Tibetan Buddhism, Shambhala was a mythical kingdom that had leaders who were compassionate and wise. It was based on the ancient teachings of the Shambhala Kingdom that Tibetan meditation master Chogyam Trungpa Rinpoche developed his vision for creating a better world through fostering a culture of kindness, generosity and courage. In 1971, he established the center as a refuge for participants to experience the Shambhala teachings and explore individual and social wisdom. Today, more than 100 courses are held annually at the site, including mediation sessions, qigong classes and mindfulness workshops. Visitors can also pay a visit the Great Stupa of Dharmakaya, which is the tallest stupa in North America. Built in the shape of the Buddha's body, the structure was erected in veneration of the center's founder as well as a visual reminder of the higher transcendental state embodied by Buddha. Day visitors will have limited access to the center since most areas are only open to program participants. Once a month, organizers would conduct a general tour of the center for free, which would take visitors on a tour of the Great Stupa of Dharmakaya as well as introductory dharma talks about meditation. On a daily basis, members of the public are welcomed to enter the stupa, stop by the gift shop or enjoy lunch and dinner services served at the center. They can also join in the meditation session or wander along the extensive hiking trails around the center. The center offers numerous programs throughout the year for anyone interested. From day- to month-long programs, they cover broad themes of meditation and mindfulness, yoga and wellness, arts and creativity, relationships, family and work as well as the Shambhala training path. For many Buddhists, meditation is one of the techniques that help move beyond the distractions of the world to develop their mental state of calmness, concentration and mindfulness among other qualities. 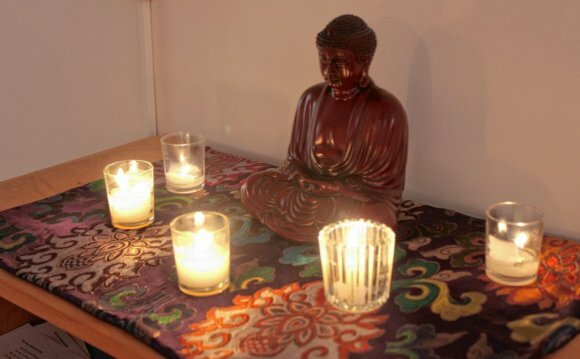 Its benefits have made meditation increasingly popular with non-Buddhists, one of the many reasons that people are attracted to attend the center's meditation courses. Beginners will benefit from introductory classes that will teach you how to meditate and guide your mind down the path of meditation. Experienced practitioners can enroll in workshops to pick up new techniques or immerse in longer retreats to connect the mind with the body and environment. Those looking to improve their mental and physical well-being would be delighted at the center's offerings. One of the many courses available is qigong, which is the ancient Chinese healing practice that emphasizes on breathing practices, gentle movements and physical posture to help with cleansing and circulating energy flows around the body. Attain greater flexibility and strength with the center's yoga workshops that seeks to connect the mind-body in a comprehensive and holistic approach. Runners and walkers will gain fresh perspectives into the meditating while in action as well as engaging more deeply with the physical world. Creative souls will be able to explore with their hands with specially designed programs for grounding their minds and body within the present moment. Some of the activities include writing workshops, music and rhythm healing exercises and visual arts sessions that would stimulate the senses and awaken the conscious towards the creation of deeper self-awareness. As humans, relationships are an integral part of being alive, but they are often the most difficult to navigate. Part of the courses focus on provoking self-inquiry and transforming relationship with the self, everyday life and work. Individual aside, there are also retreats for couples and families to foster relationship and bonds with loved ones. Become one with nature at the Shambhala Mountain Center which is surrounded by native forests, looming peaks and sweeping valleys that is far way from city life. It welcomes individuals or groups to organize private getaways at the site for a personal journey of self-discovery, rejuvenation and introspection. Some of the activities that they could do would include visiting the Great Stupa, do yoga, hike along 8-miles of the wilderness trails or simply relax in the palpable peace the place offers and reconnect with life's rhythms. Alternatively, there are also guided retreats where participants are free to join in scheduled activities at their own pace whenever they feel comfortable, as well as socialize with other participants over meals. Ample time is allocated for each activity to ensure participants can fully indulge in the moment and experience the sensations without rushing through them. The Great Stupa of Dharmakaya is one of the sights not to be missed at the center's premise. Standing at 108-foot tall, it is the largest of its kind in the US and is considered one of the most significant examples of Buddhist architecture in North America. Construction of the stupa began in 1988, a year after the center's founder died in memorial of him. It was consecrated during a ceremony in 2001, though design for the stupa is still ongoing. The basic shape of the stupa was modeled after Buddha's body seated in the meditation posture, and expresses the ideal of Enlightenment. Its white parts represent the Shambhala’s belief that every human is fundamentally good in nature; while the gold trimmings and decorated gateways represent the radiance that emanates from one’s resting mind and heart.